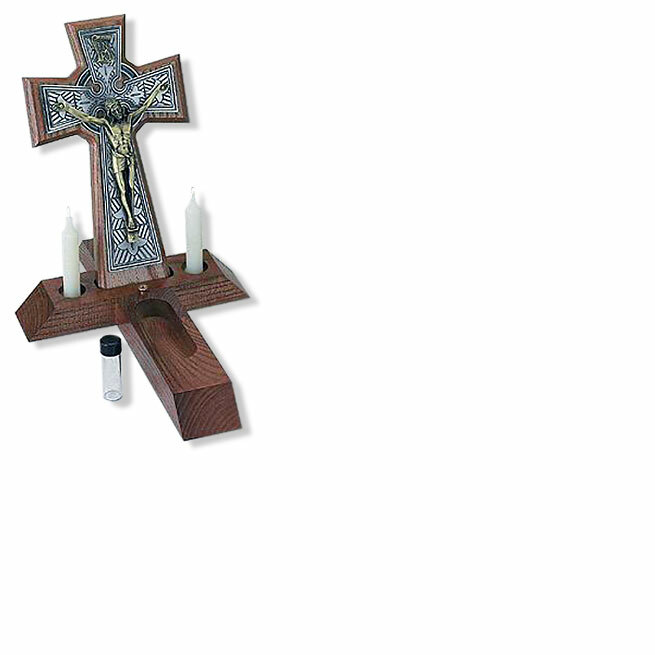 Our Quality Sick Call Sets Include Detachable Base with Candle Holder, Two Candles, and a Container to Hold Either Holy Water or Oil. The Sets Are Made in the USA. 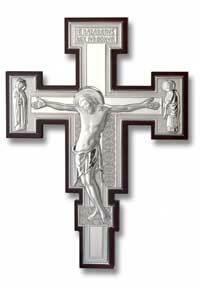 Each is Made of Solid Oak and Stained.